We run projects and organise and participate in events related to social enterprise around the world. These include training programmes, study tours, conferences and schemes offering funding and mentoring to social entrepreneurs. The 2019 Social Enterprise World Forum, the leading forum for international exchange and collaboration in social entrepreneurship, will take place in Addis Ababa, Ethiopia. Developing Inclusive and Creative Economies (DICE) is an ambitious new programme that supports the growth of creative and social enterprises in the UK and five key emerging economies. Why are leaders from the Philippines exploring the role social enterprises have played in supporting the peace process in Northern Ireland? Watch this video to find out. This video showcases Scotland’s vibrant social enterprise sector and introduces Edinburgh as the host of the 2018 Social Enterprise World Forum. Leading global organisations have joined the British Council for an ambitious initiative to promote the growth of social enterprise and impact investment. Key findings from our new report on the role that social enterprise is playing in support of gender equality, including as a source of funding, training and jobs, and economic empowerment. We are partnering with the United Nations Economic and Social Commission for Asia and the Pacific to promote social enterprise and social impact investment. Find out why and how. New Zealand’s Minister for the Community and Voluntary shares insights on his country’s vibrant social enterprise sector and the prospect of hosting the 2017 Social Enterprise World Forum. Our new teaching resources offer lesson plans based on the Sustainable Development Goals (SDGs), including one focusing on social enterprises and decent work. The UK and India are partnering in new ways to address fundamental challenges through social enterprise. An expert group proposes enhanced support for social entrepreneurship to help Europe create jobs, address social challenges, and grow in a smart, sustainable and inclusive way. Find out how award-winning Alive and Kicking leverages the 'beautiful game' to create fairly paid jobs, increase access to sport and improve awareness of preventable diseases. Through the Students for Social Impact programme, students in Canada and the UK gain overseas work experience and support to develop or refine their own social enterprises. 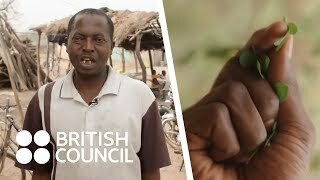 Watch this video about a social enterprise that reduces poverty and malnutrition in Ghana by producing oils, infusions and ‘super foods’ made from the leaves and seeds of the moringa tree. In Bangladesh, Nila and other underprivileged children are gaining valuable coding skills through a social enterprise project. Watch this inspiring video to find out more. Sameen Batool started a social enterprise to create sustainable employment for women in rural Pakistan. In doing so, as she explains in this video, she also gained confidence and respect. 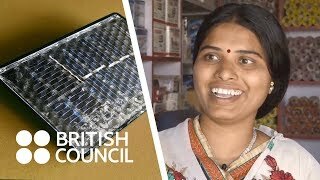 In this video, Indian social entrepreneur Sadhana Deshmukh draws on her experience to explain why she wants to inspire other women to go into business. Isolated but close-knit communities in Scotland's Highlands and Islands have developed social enterprises to help ensure their long term viability. Find out what's driving their growth. Growing inequality has stimulated national interest in social enterprise as a way of delivering both positive social impact and economic growth in Thailand. In the face of daunting social challenges, a growing number of people in Pakistan are working to develop a stronger Pakistani social enterprise ecosystem. How are social enterprises helping to make progress on the Sustainable Development Goals? Here are some inspiring examples. The strategy aims to attract social investment and social enterprises to the UK; support increased exports and franchising by UK social enterprises; and bring learning back to the UK. 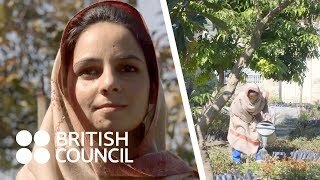 The British Council is working with six Pakistani universities to open incubation centres that nurture social entrepreneurs. Social Enterprise in Schools is a free resource to help teachers deliver activities and lessons on social enterprise. This report outlines practical steps and priority areas for engagement by the sector with state and national governments in India. This free handbook provides a comprehensive introduction to the UK’s thriving social enterprise sector. Authoritative and clear, it is packed with illuminating examples and useful links. The Social Enterprise Awards are the sector's equivalent of the Oscars. Find out about the finalists in the International Impact category -- they exemplify social enterprise at its best. Our report with SEUK argues that social enterprise and responsible business will play a critical role in making progress on the UN's new Sustainable Development Goals. A British Council report finds that social enterprise is vibrant and growing in the Philippines and could scale appreciably in coming years as more support structures are put in place. A debate at the European Development Days concluded that employing social enterprise approaches in international development can help reduce income inequality and related social problems. Medhavi Gandhi, a 'master' social enterprise trainer, is helping a group of women in New Delhi turn a family tradition into a sustainable enterprise. Discover the key findings of a report about social enterprise in Ghana, where conditions favour a rapid expansion of the sector. Successful Scottish social enterprises and social investors joined Cabinet Office, British Council and Chivas Regal UK in announcing a global campaign to boost the UK social economy. Bangladesh, the birthplace of microfinance, hosted a global policy dialogue on social enterprise. Local social entrepreneurs hoped it would lead to more government support for the sector.